1887 was an exciting year for Corvallis. 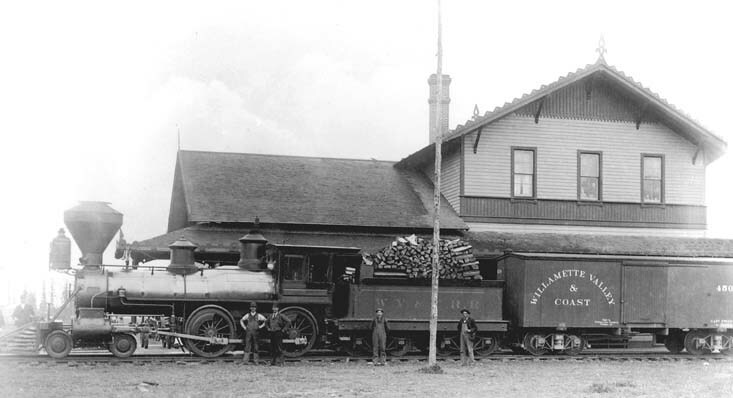 The new Passenger/ Freight Depot for the Willamette Valley and Coast Railroad was completed just in time to load passengers for the first trip from Corvallis to Albany, crossing the Willamette River over the longest wooden drawbridge yet built. The WV&C/Oregon Pacific Railroad had recently completed its track from Yaquina Bay on the Pacific coast to Corvallis. The railroad had grand plans (and 15 million dollars from investors) to continue across eastern Oregon to meet the Union Pacific to form the final link in the northern transcontinental rail route. Promoter T. Egenton Hogg envisioned that Yaquina Bay would become the "San Francisco of the North" and that Corvallis and Albany would beat Portland to become Oregon's railroad center. Corvallis citizens were caught up in the excitement. Local investment was strong. 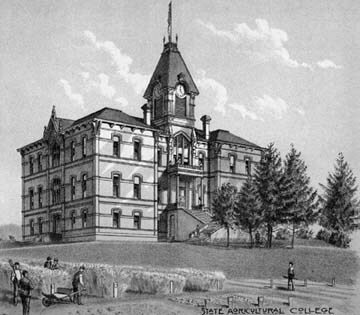 The prosperity of the 1880's and the advent of the railroad encouraged the citizens to build their new Courthouse in 1888 and an impressive new State Agricultural College (now OSU) administration building in 1889 to prove to the skeptical that Corvallis was the center of justice, culture and learning. But problems arose. Just about everything imaginable happened: train wrecks, ship wrecks, management squabbles, cost overruns, ruthless competition, skullduggery and bad weather. 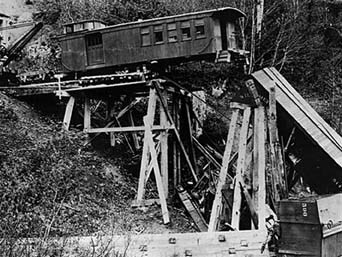 The railroad went bankrupt, sold several times, and was eventually purchased by the Southern Pacific system in 1907. Yaquina Bay never quite became the San Francisco of the north, but continues today to be a favorite destination. Corvallis still claims its place as the center of justice, culture and learning. Just ask the mayor. The Depot has been renovated and listed on the National Register of Historic Places as the only two-story combination freight/passenger depot in Oregon. Finally, the upstairs living quarters have been restored to their original use, providing elegant accommodations for Corvallis' special guests and any railroad barons who might happen by.